We have blocked ample amount of rooms for everyone who might need hotel accommodations for the weekend of our wedding. 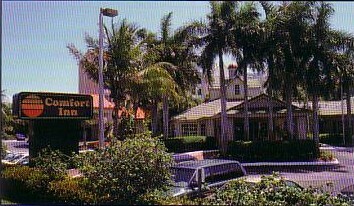 The rooms have been blocked for your convenience and expediency at the Comfort Inn Ft. Lauderdale/Hollywood Airport. We found their rates economical and their location convenient to the church, reception hall, Ft. Lauderdale International Airport, I-95, the oakwood plaza as well as other shopping and recreational areas. When calling to reserve your room for the wedding, you will need to let the receptionist know that you are with the Hoyte-Roberts Wedding. 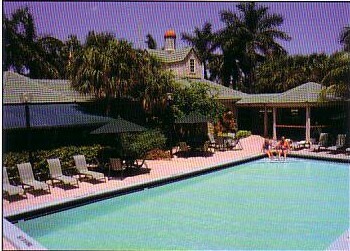 The hotel will hold the rooms for us at the discount rate of $79.00 until a month before the wedding. On November 13, 2002 if you have not reserved your room and are still planning to stay at the hotel, you not be able to reserve your room at the discounted rate. If you will require a shuttle service to and from the Ft. Lauderdale/Hollywood Airport, you will need to inform the hotel of this at the time of your reservations so that they can make arrangements to pick you up from the airport. Barnes & Nobel, Big K-Mart, Dave & Buster, Marshalls, Office Max, Regal Cinemas, Ross, Old Navy, Sweet Tomatoes, TGI Fridays, Perfumania Plus, just to name a few. The hotel is also near to the IGFA Fishing Museum and Outdoor World and Boomers (formally known as Grand Prix).